Donald Porter was a member of a three-man Scout Team. He was the pilot of an OH-6A Light Observation Helicopter and Warren F. Brown and Paul F. Weber were his team mates. All three were killed when their helicopter was shot down. George Raach was Donald’s Friend. I first met Don in 1952 at St. Michael’s school in Wheaton, Illinois when we were both seven years old. I was just recovering from Polio, my legs were still weak and my ability to move around and play sports was limited. Don, on the other hand was a great athlete who always hit home runs and could run faster than most kids. Although it detracted from his opportunity to engage in activities, he befriended me and spent time with me, and that made my life a great deal more pleasant. As my strength increased, Don always made sure that I was part of the activities in which he was involved, whether it was softball, swimming, fishing or some other boyhood past time. I mention this because this was characteristic of Don. He was always willing to sacrifice his personal preferences for the needs of others. He always sought to include others in the activities in which he participated. As I reflect on our relationship almost 60 years later, the things that I remember most about Don were his decency and concerns for others. Don would have been superb at whatever he chose to do with his life. Despite the passage of time, I still miss his enthusiasm for life and his genuine concern for his fellow-man. When John’s helicopter was hit by enemy fire it burst into flames. Knowing that he was going to crash, John headed the helicopter into the middle of an enemy force thereby saving the lives of many American Soldiers. 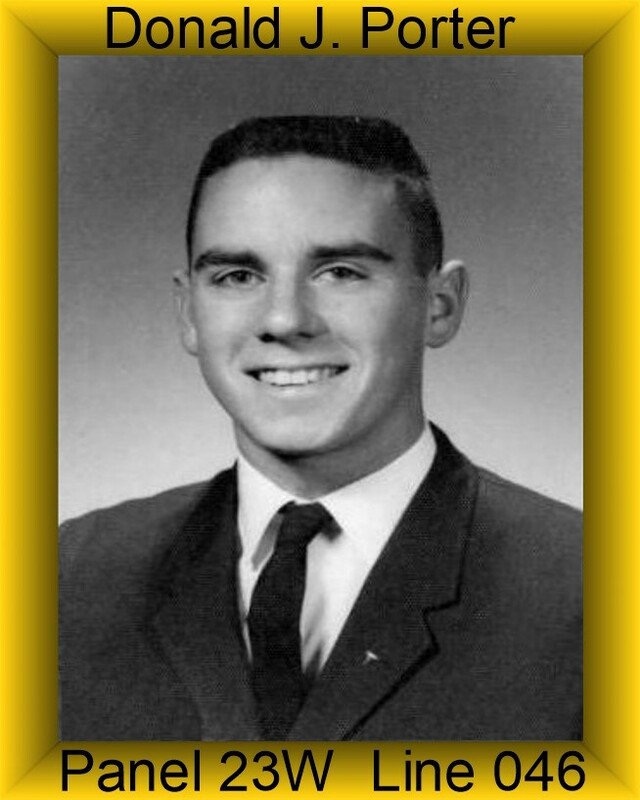 John was assigned to Charlie Troop 1st Squadron 9th Cavalry 1st Cavalry Division (AM) on March 4, 1969 and was Killed In Action on June 2, 1969. 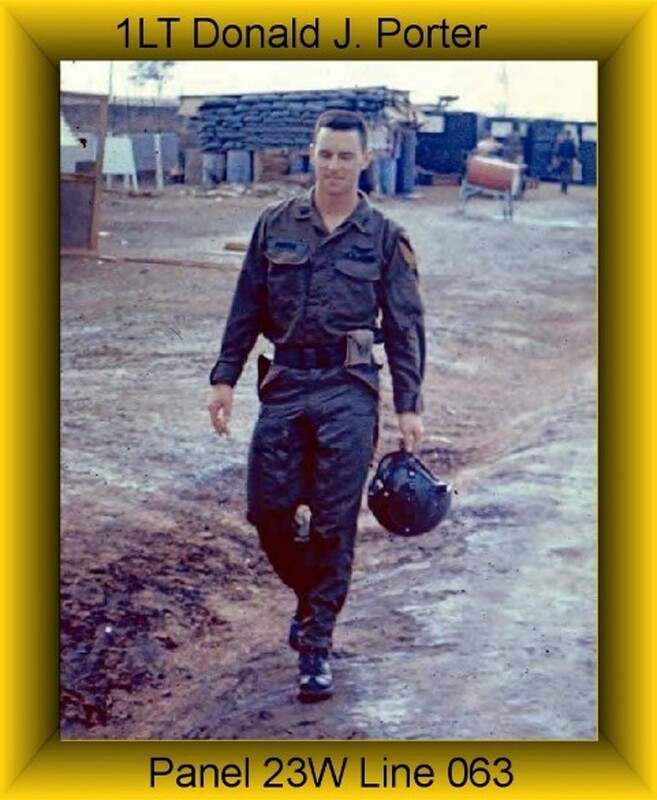 For his actions in Vietnam, John was awarded the Silver Star, Bronze Star, Purple Heart, Air Medal, Good Conduct Medal, National Defense Service Medal, Vietnam Campaign Medal, Vietnam Service Medal and Army Aviator Wings.